This project was completed in tandem with the Boys & Girls Club project. Turned over for the start of this fall school session, the Culinary Kitchen serves as a true commercial teaching kitchen where students are taught the art of culinary. These classes are offered through the Lawrence College and Career Center. The kitchen also doubles as the prep kitchen that serves as many as 200 meals per day to kids in the after-school programs at the Boys and Girls Club. 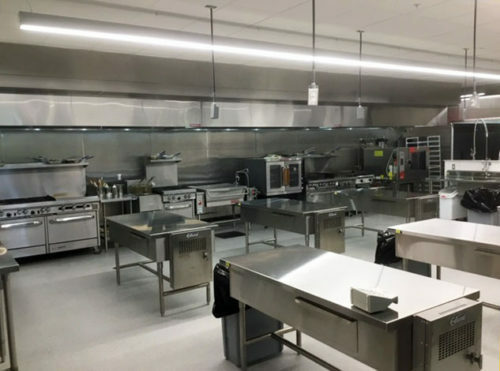 Jason Kellogg, project superintendent said he has built out several commercial kitchens and this one can be chalked up there with the best of the best.